Ahoy! There is a lot of screenings for The Ghost of Piramida coming up. In London, Lisbon and The Netherlands. and have a lovely holiday and talk to you soooooon. This week we start our 30-date long European tour with the new 6-piece band and we are also very happy to announce our North America concert dates for 2013. By the way, the North American tour will include a concert in Mexico City. Our very first visit to Mexico. Very happy about this. Back in September we had the pleasure of recording a FM4 Radio Session in Vienna at the beautiful Radiokulturhaus concert hall in Vienna. We played songs from our new album Piramida and were joined on stage by: Katinka Fogh Vindelev, Peter Broderick and Budgie (Siouxsie and the Banshees, The Creatures). FM4 is a really great station and we want to thank them again for having us back in September. You can now watch a film with three of the songs we performed Between The Walls, Black Summer and The Ghost. One More BERLIN Screening of the New Film – Tomorrow! Just a very short update. 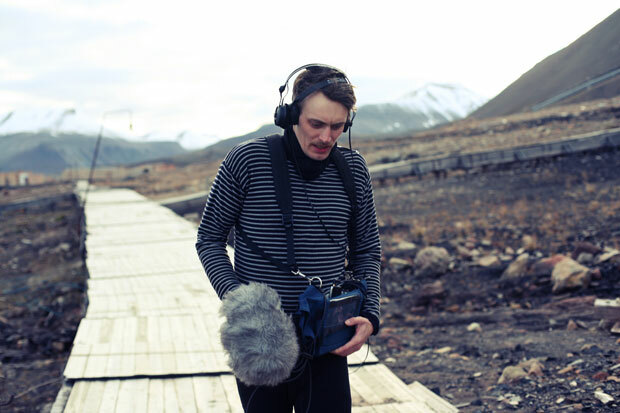 A 2nd screening of the new Efterklang documentary THE GHOST OF PIRAMIDA by Andreas Koefoed has been added tomorrow night at Rollberg Kino in Berlin. So tickets are again available. The Ghost of Piramida – Update – New Screenings! Yesterday evening The Ghost of Piramida was nominated to be among the three best music documentaries at this years IDFA (International Documentary Film Festival Amsterdam). The winner of the category will be selected tomorrow. Big congratulations to director Andreas Koefoed for this achievement. We will be present at the Berlin screening. Plans for further screenings have yet to be announced and an official Trailer for The Ghost of Piramida will surface later. There is a post on 4AD’s website with more details as well. 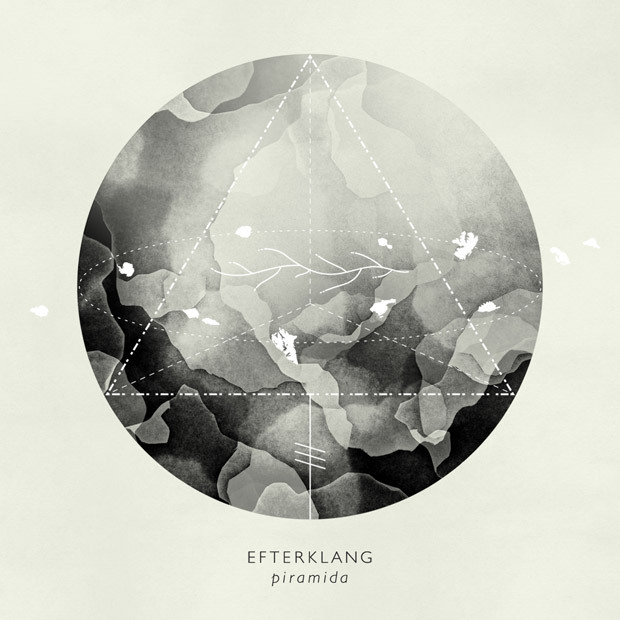 The Ghost of Piramida – New Efterklang Film! 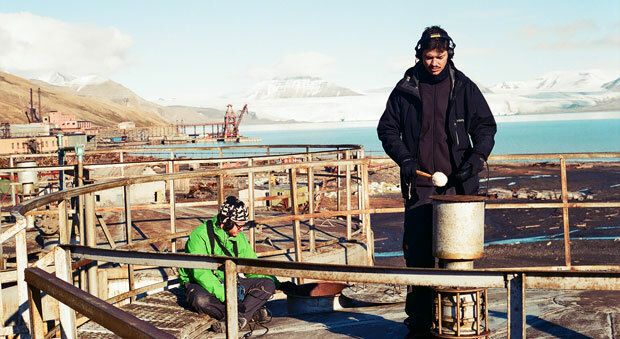 The Danish director Andreas Koefoed followed us on our 9 day trip to Piramida on Spitsbergen where our new album took its start last year. His film documents our visit to this former Russian mining town and it also beautifully tells the story of the ghost town through the eyes of a former resident. 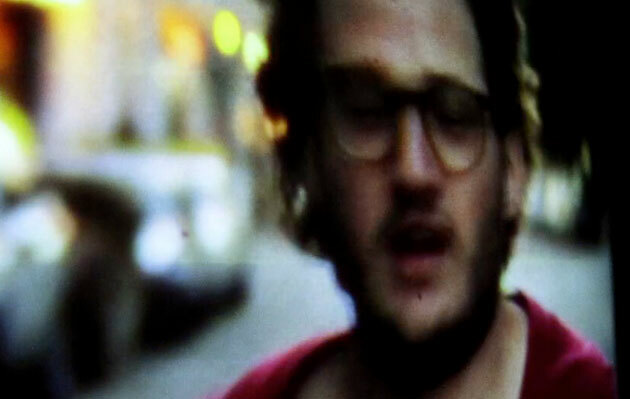 The film premieres tonight in Copenhagen at the CPH:DOX festival. On November 18th the official World Premiere takes place at IDFA in Amsterdam. Andreas Koefoed also directed the short Piramida album trailer which you can watch below. Under The Radar asked us to do a mixtape for them and so we did. We are really happy with how it turned out. Take a listen, maybe you will find some new gems. The mixtape also includes two early sketches for our Piramida album. A video for Apples has just premiered at Huffington Post. The video is created and directed by Hvass&Hannibal in collaboration with Oodls (who did the previous video for Hollow Mountain). WE WILL BE ON TV! This weekend will be quite special as the Royal Crown Prince and Princess of Denmark have invited us to play live on Danish TV on Saturday (Oct 6th) at their annual cultural award show. We will perform The Ghost together with Sønderjyllands Symfoniorkester. Tune in if you are able to. It starts at 21:00 Danish time. We open the whole thing. Piramida is out now – you can buy it via iTunes or via our own Webshop (deluxe CD and Vinyl). September 22nd we celebrated the release of our new album Piramida in New York City. We played the album in full at a sold out concert at the Metropolitan Museum of Art together with The Wordless Music Orchestra and conductor Matthew Coorey. It was a very special night for us. Hard to describe why, it was just magic. Q2/WQXR recorded most parts of the concert for broadcast and it is possible to stream this recording now at Q2/WQXR’s website and also via NPR’s Concert Series website. The recording turned out really nice Q2/WQXR sat up an amazing mobile studio with lots of nice analog gear and they were so incredible nice to work with. PIRAMIDA is released today in Europe, Asia, Oceania and tomorrow also in North America! We hope you will be interested in listening to our album. There are many ways to do so. It is on iTunes and other digital sites, and also Spotify and other streaming sites. We highly recommend the vinyl version of Piramida. It comes in an amazing packaging design by Hvass&Hannibal. They also did the CD design, which is a book style deluxe cover with a thick booklet. You can purchase these in any decent record store and also via our own webshop. We are all currently in New York and we are still beaming from Saturday’s sold out concert at The Metropolitan Museum of Art with The Wordless Music Orchestra. An unforgettable night. We recommend this photo report btw – really nice photos. There is also a very nice review in todays New York Times. We are in NYC until Wednesday and today we are happy to announce two surprise events. They are a lot more low key than our orchestra concert, but we are sure we´ll have fun. We are celebrating the release of PIRAMIDA. 24 Sep MONDAY @ ACE HOTEL – mini concert and DJ sets – concert starts at 8pm. Mini Performance by Efterklang starts at 8pm SHARP!!! - DJ Sets from Victoire and Efterklang to follow. Katinka Fogh Vindelev will also perform. 25 Sep TUESDAY @ APPLE STORE in SoHO – Full 6piece band Concert starts at 7pm. We are doing an instore performance at the Apple Store SoHo, NYC (103 Prince Street) Tuesday, September 25 to celebrate the release of our new album Piramida. Admission is FREE, Doors are at 6pm and we play at 7pm sharp! Come out and celebrate with us! The Sunday Times – Album of The Week! The Line of Best Fit – 9/10 – shows us another world, wild and windswept and almost elemental. NPR First Listen of Piramida – Streaming Now! Piramida will be released in a week, but you can listen already now thank to NPR.org. If you like the music, please support by buying the music in our webstore, or from your local record shop, from a digital shop or stream it via Spotify and similar legal sites. 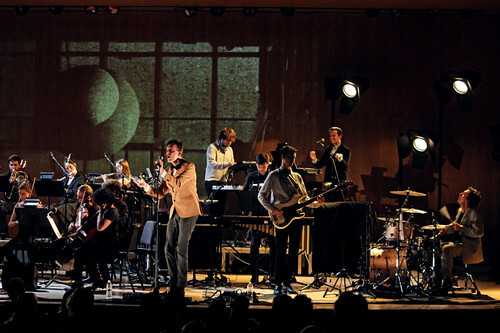 Please also come to our concerts this fall - EFTERKLANG TOUR.